Experts expect that Toshiba will be allowed to remain listed as it is widely regarded as "too big to fail"
Japan's securities watchdog is investigating Toshiba’s accounting in its latest earnings statement to see if it properly handled losses incurred by its US nuclear unit, a source with knowledge of the matter has said. The move follows an unusual "qualified opinion" given to the earnings report for the past business year by Toshiba's auditor, PriceWaterhouseCoopers Aarata, in August - one in which it broadly vouched for the books. But the auditor also issued a separate "adverse opinion" on corporate governance, saying Toshiba was late in booking losses as its Westinghouse unit. The news also follows recommendations this month by proxy advisory firms Glass Lewis and ISS that Toshiba's shareholders do not approve its earnings statement given the auditor's mixed review. The watchdog - which has previously fined the embattled conglomerate over a 2015 accounting scandal - has not observed any accounting issues so far, said the source, who was not authorised to speak on the matter and declined to be identified. A Toshiba spokesman declined to comment. An representative for the Securities and Exchange Surveillance Commission was not immediately available to comment. The fresh probe is only one of a long series of setbacks for Toshiba, which was plunged into crisis again late last year after the emergence of billions of dollars in liabilities at now bankrupt Westinghouse - a crisis that has prompted the US$18 billion sale of its prized memory chip unit. While Toshiba's accounting practices still remain under scrutiny, it gained a major reprieve last week when the Tokyo Stock Exchange removed the embattled conglomerate from a special watchlist, citing improved controls since the 2015 scandal when it admitted to inflating profits for years. 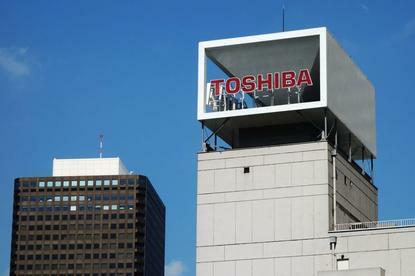 Industry experts expect that Toshiba will be allowed to remain listed as it is widely regarded as "too big to fail". Toshiba will hold an extraordinary shareholders meeting next week to vote on the earnings report, company directors, and the sale of the company's memory chip unit agreed earlier this month.